In 1560, General Pedro de Ursúa led an expedition through the Amazon in search of El Dorado. Three months later, Ursúa was murdered. His replacement, Fernando de Guzmán, was also murdered. Emerging from the chaos was the Biscayan Lope de Aguirre, who turned away from El Dorado and led his men to Peru to overthrow the royal forces and declare independence from the Spanish Crown. When Aguirre was finally killed, the aftermath was astonishing: hundreds dead, entire towns depopulated, and a nascent revolution quashed. 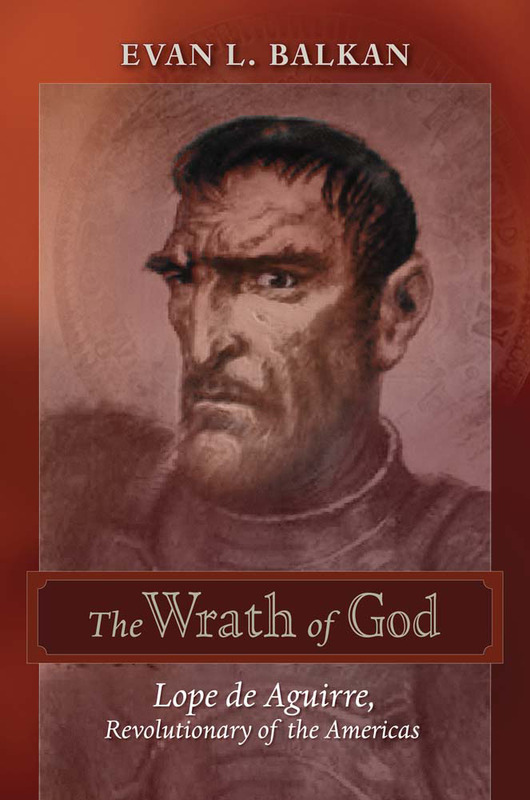 Deliberately provocative, Evan Balkan's The Wrath of God examines Aguirre, a symbol of Basque fury and rampage, arguing that Aguirre's historical representation as a one-dimensional madman deserves revisiting. Indeed, Aguirre may be the Americas' first true revolutionary, a view shared by Simón Bolívar, among others. 2011 marks the 450th anniversary of one of the most extraordinary and least known events in the history of the Americas, and Balkan's work offers a timely investigation into the revolutionary's life and controversial methods. Evan L. Balkan holds degrees in the humanities from Towson, George Mason, and Johns Hopkins universities and is the author of five books of nonfiction. He lives in Baltimore with his wife and two daughters.